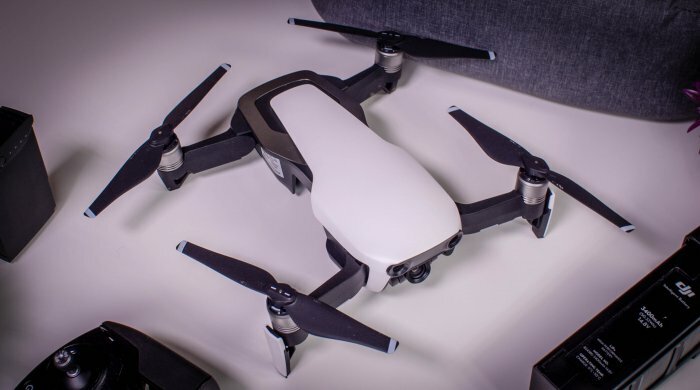 MakeUseOf reviewed another drone and they are giving it away to one of their fans! To enter in their latest DJI Mavic Air Drone Giveaway grab your free entries by following few simple steps listed down below! A marvel of engineering and design, the Mavic Air was built to go wherever adventure takes you. Inheriting the best of the Mavic series, this ultraportable and foldable drone features high-end flight performance and functionality for limitless exploration. The Mavic Air is the most portable DJI drone to house a 3-axis mechanical gimbal, with its angular vibration range reduced to 0.005°. Set in a triangular formation, gimbal dampeners help create even steadier shots. In addition to Horizontal, Vertical, and 180° panoramas, the Mavic Air stitches 25 photos together in just eight seconds to create crystal-clear 32 MP Sphere panoramas.1 View them from an immersive perspective with DJI Goggles. The Mavic Air shoots video at an incredible 4K 30 fps, recording at 100 Mbps to capture every second with UHD quality.